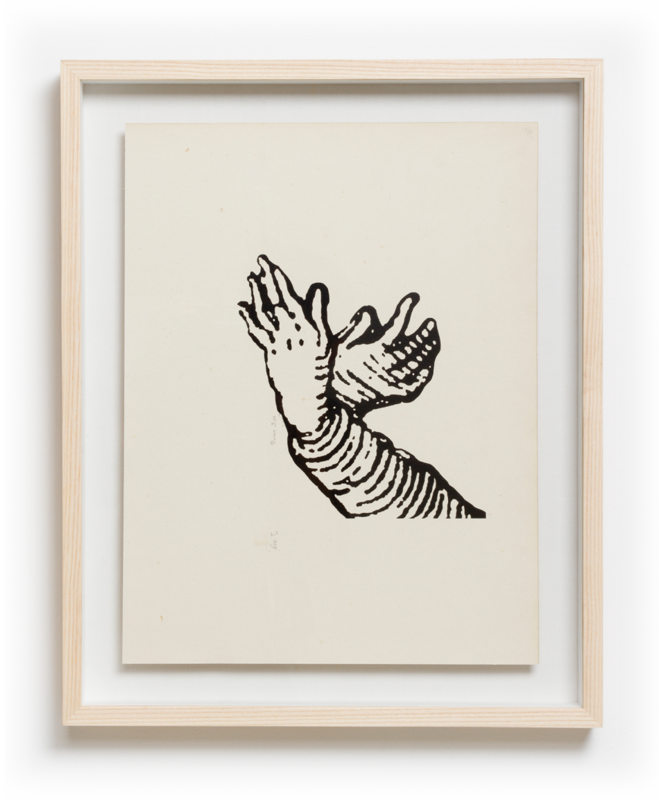 Magic Hands is a series of prints that link sacred Renaissance hand gestures with text edited from instructional magic manuals. 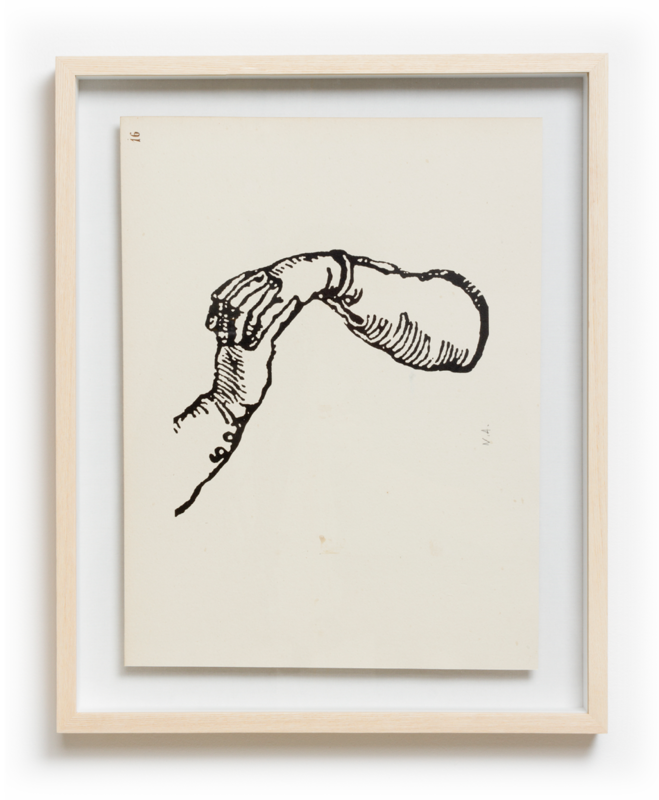 Inspired by Albrecht Dürer’s famous drawing Praying Hands, the 12 images allude to the persistent allure of the enigmatic throughout the ages. 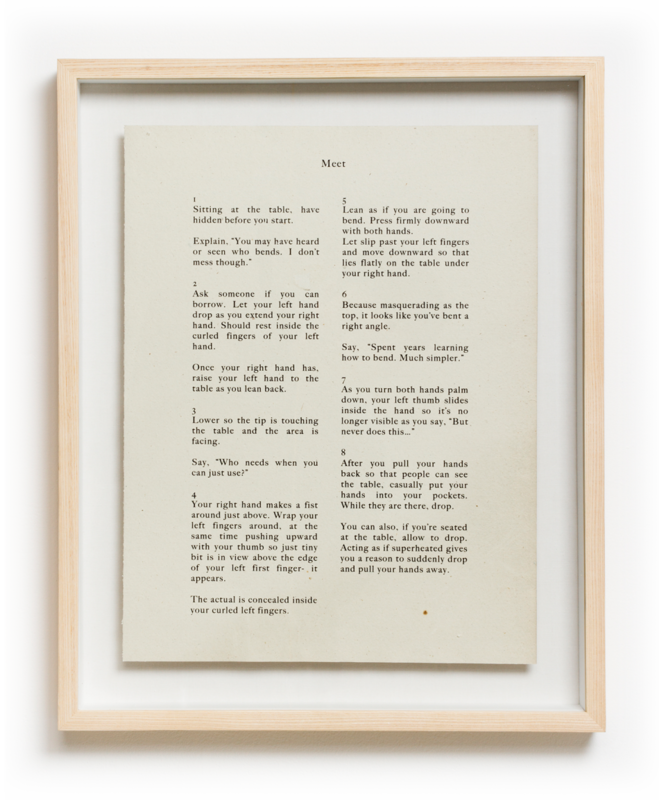 The instructions from a common book of magic tricks are edited to remove any specific objects or tools, producing an awkward poetry that at once obscures any meaning even while hinting at its influence. The essence of the rite is interrupted, made secret, but it also affirms its existence. 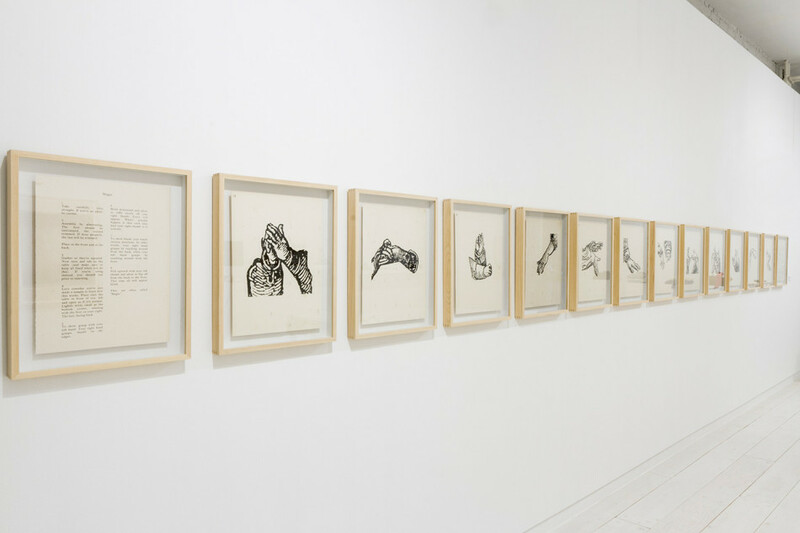 The artist has printed on antique papers circa 1850 that were once owned by Albertina museum; existing pencil and glue marks reveal a further layering onto inaccessible histories.